The idea is that you’ll either be able to save money by building stuff yourself for cheap, or that you’ll be able to setup your own woodworking business & make money from home by selling the items you create… But is it really as good as it’s made out to be? Or is Teds Woodworking a scam that’ll actually just end up conning you out of your hard earned cash? Well thankfully you’ve landed in exactly the right place to find out as after recently getting spammed several times with the offer of Teds Woodworking program I’ve finally decided to take a closer look into it to see what it’s all about and whether or not you can really make (or save) money by using it. 🙂 Plus I’ll also be checking out if the plans are actually legit, and if there’s really 16,000 of them as promised. What Exactly Is Teds Woodworking Program? I’ll point out though that this is not really a good thing as I came to the conclusion that the EZ Battery Reconditioning program was a borderline scam – and to be honest I’m assuming quite confidently that the 2 programs (that and Teds Woodworking) have likely been created by the same person. 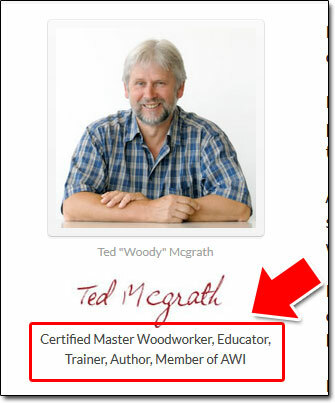 I mean sure, Teds Woodworking has allegedly been created by a guy named Ted Mcgrath who is supposedly a “Certified Master Woodworker, Educator,Trainer, Author, Member of AWI”… However there’s literally NO information to be found online to verifiably back that up. But anyway what’s the program actually about? And how are you supposed to make (or save) money with it like the spam emails claim? The plans will allegedly show you exactly how you can build awesome things out of wood, they’ll show you exactly how much material you need to use to prevent any wastage, and they’ll be supposedly so easy to follow that they’ll even enable complete beginners to create masterpieces. Then on top of that you’re also told you’ll get access to a video collection too which will talk over what tools you’ll need, how to use them, along with other basic stuff that you’ll need to know to complete the plans. So whilst the program might cost just $67, with the tools too you’re talking around $867 – and then let’s not forget materials as well. 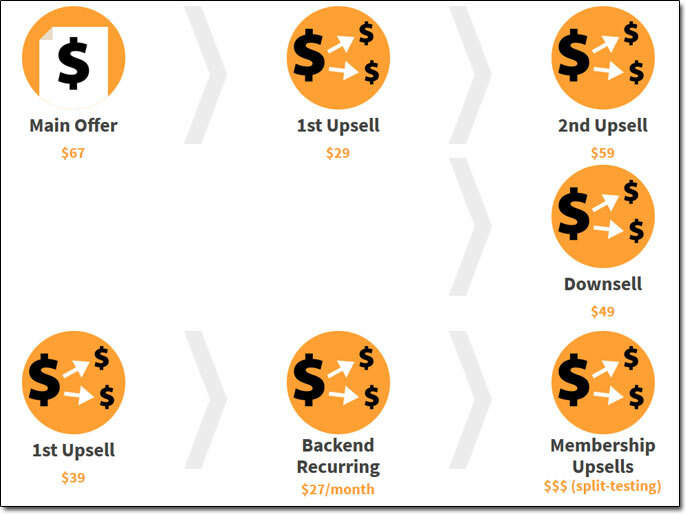 The main offer is $67 as promised yes, but then there’s an immediate upsell for an extra $29, then another for $59, then recurring costs of $27/month, and then MORE upsells even on the recurring plan! That’s crazy! So not only could the whole thing with tools & materials end up costing you over $1,000 from the start, but it could also see you spending a whole bunch of cash each month on a recurring subscription too. Is Teds Woodworking Worth It? Honestly in my opinion the short answer is no. The reason I say that is because as far as I’m concerned the whole thing has been setup with the intention of making the creators wealthy rather than making the customers satisfied. They sure put on a good show on the sales page but after purchasing it goes down hill from there – in my opinion anyway. The reason I say that is because there is absolutely NOT 16,000 plans inside of the program – there is more like 3,000 if that… And the plans that are included are blatantly just copied from elsewhere on the web. 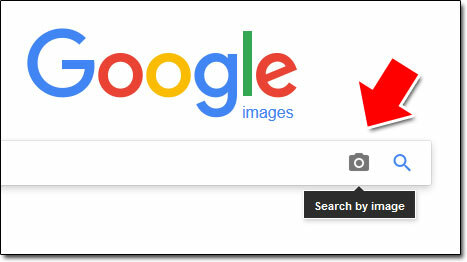 Google has an amazing tool now called the “reverse image search” tool and basically this lets you search using an image, then it will show you all of the places it can find where that image has been posted… So if you use the tool to search up any of the plans found inside of Teds Woodworking then you’ll likely discover that they were posted elsewhere prior & that they are accessible for free. 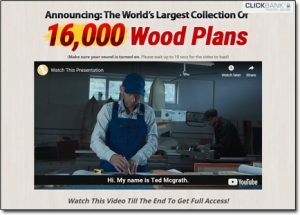 So basically Teds Woodworking is just scraping a whole bunch of freely accessible woodworking plans from around the web & then trying to sell them to people for $67 along with additional recurring fees. The same goes with the videos provided via the program too – they’re videos embedded from hosting sites like YouTube & Vimeo & some of them are almost 10 years old… So not only are they available for free, they’re also pretty outdated, and to be honest, not even that good anyway. I mean don’t get me wrong if you’re already good with woodworking then you’d likely be able to pick out some of the plans & build them, but if you’re new to woodworking then you’re likely just going to think “WTF”. 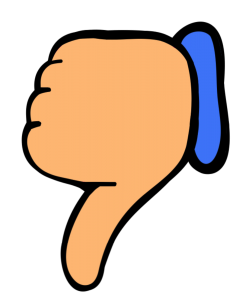 My Verdict – Is Teds Woodworking a Scam? Well this is where it gets a bit tricky… You see at the end of the day Teds Woodworking promises woodworking plans & that’s what it gives you access to – however in my opinion based on the marketing & the fact that most of the plans are freely available elsewhere, I’d say that yes Teds Woodworking is a scam. It’s blatantly just geared towards making the creators money rather than making the customers satisfied & it’s operating trickery to do so which is something that I massively don’t like. The good news though is that the Teds Woodworking program is being sold through a network named ClickBank which is usually pretty good at processing refunds (despite them hosting a lot of scams) – so whilst the creators of Teds Woodworking may not honour your refund request, if you contact ClickBank directly then you should stand a good chance at getting your money back. But like I say to be honest if you haven’t already bought into it then I wouldn’t really recommend it whatsoever because you’ll likely just end up feeling like you’ve wasted your money, so save yourself the hassle. And if you’re really want to earn good money from home legitimately then you don’t need to go to all the effort of building things from wood & trying to sell them – instead you could just check out these top ways of making money online. I mean sure you’re not going to get rich overnight online but if you do follow genuine training like this training here then you could certainly find yourself on your way to building a very lucrative sustainable business online. 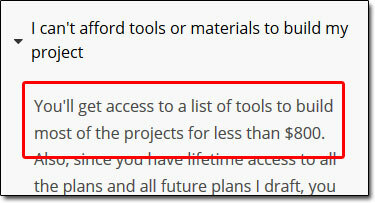 In my opinion it’s a 100x better option than going down the route of those so-called “woodworking plans”. Bitcoins Wealth Club Review – Scam or Legit?